The ski jumping world record has been broken for the second time in two days after Norway's Anders Fannemel leapt 251.5m at Vikersund in Norway. Slovenia's Peter Prevc, broke the record at the same venue on Saturday, when he jumped 250m. 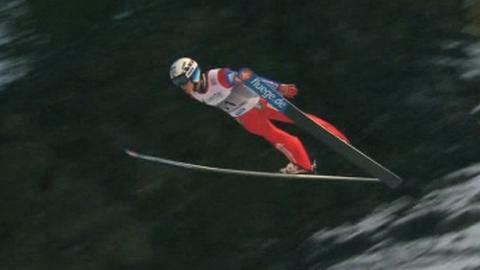 Fannemel, 23, exceeded that with his first jump but finished second to Severin Freund, at the World Cup event. "The conditions were perfect for long flights and I made the best jump of my life," said Fannemel. The Norwegian, who only managed 202m in the final round, finished 42.7 points behind the winner. Prevc, whose record-breaking jump also gave him victory in Saturday's World Cup event, could not repeat that form as he finished 16th with a final jump of just 110m.